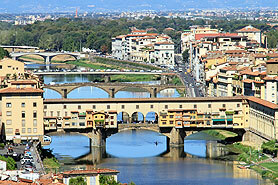 Welcome to Florence, the capital city of Tuscany. Meet your fellow travellers with a welcome drink and dinner in the evening. After collecting our Vespa Scooters from the rental office, we head westwards to Vinci and visit the museum dedicated to the famous son of that town, Leonardo da Vinci. We continue the ride through the Apuanic Alps with Monte Albano and stop at the Parco di Pinocchio. After passing Lucca we cross over to the Tuscan Copacabana, the Versilia, and spend the night in a hotel on the Viareggio seafront. 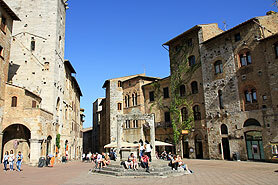 We leave Viareggio and head towards San Gimignano. 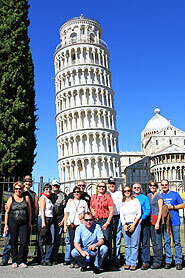 We take a break in Pisa, where we experience the fascination of the once richest sea republic of Italy with her emblem the Leaning Tower. 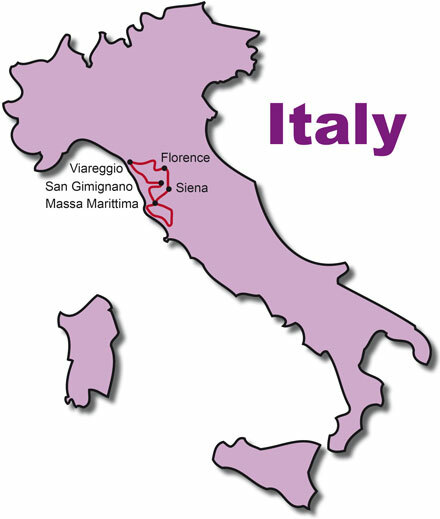 Then we climb through picturesque landscapes with cypresses and olive groves high up into the Tuscan hills to San Gimignano, a history laden medieval town, with reputedly, the most beautiful views of Tuscany. Around midday we set off over wonderful hilly country towards Massa Marittima. We stay two nights in the centre of this medieval town. 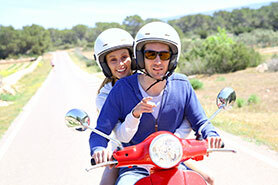 Today is another highlight of our scooter tour in Tuscany. On one side is the Maremma, with a view of the island of Elba off the coast, and on the other side the Tuscan hill country. 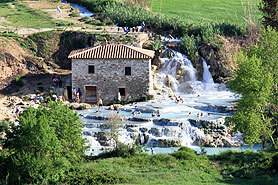 Water warmed to 32 degrees flows through the Thermal Springs of Saturnia, and we carry on through numerous, semi-abandoned mountain villages through the Tuscan highlands with winding roads you find in Tuscany only. After a relaxing morning, we leave Massa Marittima, travel through marvelous landscapes and finally reach the medieval cityscape of Siena with its famous Piazza del Campo. 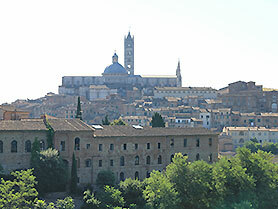 The historic centre of Siena has been declared by UNESCO a World Heritage Site. 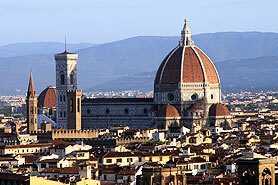 On our last tour day we are heading north to Castellina in Chianti, along the Strada in Chianti, to Florence. After dropping off our scooters, we meet for our traditional Farewell Dinner in the evening and finish this wonderful Vespa tour with lots of memories of Tuscany.